STATESVILLE, N.C. – GMS Racing announced today that Fire Alarm Services, Inc., (FAS), a provider in a superior fire, life safety, and security services, will serve as primary sponsor for John Hunter Nemechek and the No. 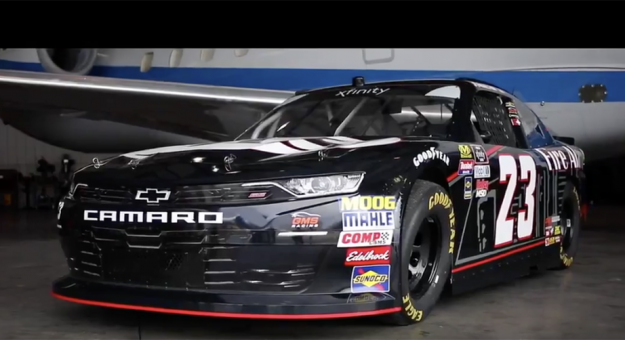 23 GMS Racing team in 13 NASCAR Xfinity Series (NXS) races in 2019. Since 2016, FAS has been a supporter of Nemechek. The Colorado-based company served as a primary sponsor in multiple NASCAR Gander Outdoors Truck Series (NGOTS) races for Nemechek, as well as 11 NXS races in 2018. FAS has been apart of many of Nemechek’s career-first accomplishments, including his first NGOTS pole award at Iowa Speedway in 2016, his first NXS win at Kansas Speedway and his first NXS pole award at ISM Raceway, both took place in 2018.